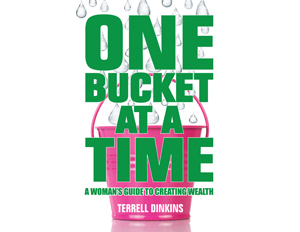 We all know that ‘women are from venus and men are from mars.’ In her new book, One Bucket at a Time: A Woman’s Guide to Creating Wealth, author and financial advisor Terrell Dinkins makes the case that the same rule should apply to our finances. “Because of divorce, widowhood or remaining single, many of us will have to carry the financial load alone,” says Dinkins. “Add to that the blessing and curse of living longer than men, and the fact that many of us are taking care of parents and children, and you see how women have to be strategic when it comes to saving and growing money,” she adds. Black women face even bigger financial challenges, making 64 cents for every dollar white men make, and being more likely than other groups to raise children on their own. Short-term bucket: This is where you keep your liquid cash for emergencies. Because women tend to be singe and heads of households, they should actually have 6 to 9 months of living expenses in this bucket. This is where you should save for things you have to pay for if you lose your job. Mid-term bucket: This is where you put money you’re willing to take risks with, like investments in stocks and mutual funds. We make less than men, so this is really important. No one should ever take more risk, however, than they are comfortable with, which is why you should always consult with a financial professional. You also want to make sure you fill the short-term bucket before you worry too much about this mid-term fund. Long-term bucket: These include employer-sponsored retirement plans like 401 (k)’s, IRA’s, and SEP’s. Never walk away from free money in the employer sponsored funds, and take advantage of company matches. You also want to start filling long-term buckets early because the markets will go up and down; but remember, you’re in it for the long haul. As family dynamics and gender roles continue to evolve, it still seems readily assumed that the primary caretaker in a household will be a woman—regardless of whether we work full-time, part-time or not outside the home at all. In most cases this assumption still holds true, in fact over 66% of all caretakers are female regardless of our work status. Simultaneously, however, there is another role for women that continues to evolve and gain traction as a growing trend—the rise of female breadwinners. A study from the Pew Research Center reported that over 40% of all households with children under the age of 18 were led by a woman as the sole or primary breadwinner. This creates a sticky predicament considering acceptance and normalcy has yet to be established on the subject. Conversations in articles and books continue to develop on how to mitigate the threatened feelings and egos of men faced with the reality of female breadwinners. However, it’s okay to be proud of the underlying efforts that shape this new normal. After all, as a group, black women have conferred a record number of bachelors and master degrees over the past 25 years. We are also the largest group participating in the workforce. As a halo effect, this will mean more of us stepping into leadership roles and breaking glass ceilings. Sure there is still plenty of work to be done in terms of closing the wage and wealth gaps, but becoming highly educated and ‘bringing home the bacon’ can only help our journey towards new progress in these areas. Yet women haven’t moved out of the kitchen and into the workforce entirely. As a whole, we are still responsible for the majority of chores in our households. In fact, breadwinner women still take on a disproportionate share of the housework as compared to their partners, thus bringing home the bacon and cooking it too. Why is this, considering the vast leaps we’ve made in other areas? One source suggests that as roles have changed men haven’t paid attention to how they can get more involved and should consciously look for opportunities to help pick up the slack. A more realistic solution is for women to simply start asking for more and get specific. There is a lot we haven’t asked for in our rise as breadwinners and matriarchs. So ask for that pay raise and leadership role at work and ask for help with housework and caring for the children. Empower your voice to unequivocally help tip the scales towards better balance at home and equality at work. Should Computer Science Education Cover More Than Coding? President Obama wants kids to learn to code. So much so, he’s pledged billions of dollars to teach them. “Now we have to make sure all our kids are equipped for the jobs of the future—which means not just being able to work with computers, but developing the analytical and coding skills to power our innovation economy,” he said in his radio address on Jan. 30. And adults are looking to learn, too. Coding academies, or “boot camps,” are cropping up across the country, promising to teach students to code in a few months or even a few weeks. But computers are not just about coding. There’s also a lot of theory—and science—behind technology. 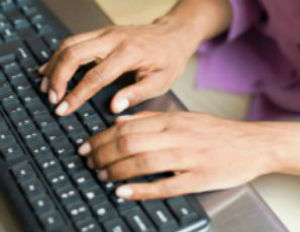 And those theoretical concepts form the basis of much of computer science education in colleges and universities. If coding boot camps may downplay the theory, though, Singh admits that many university classes are heavy on it. At Georgetown, classes in cybersecurity or data structures train computer science majors how to use mathematical proofs to solve problems and to understand the limitations of their solutions. Singh doesn’t think that non-majors need to cover all of these concepts. But there’s a certain way of approaching computers, something she calls “algorithmic thinking,” that she thinks every student should learn. She wants to teach them to break problems down into a series of steps, an approach that requires some theoretical knowledge. At the end of their education, she thinks students should know, “what the heck is an algorithm and why do I care about an algorithm,” she says. The post Jah Torius & Dub Akom – Nuh More Than Jah appeared first on Reggae Magazine | World A Reggae | Unifying people through Reggae Music.